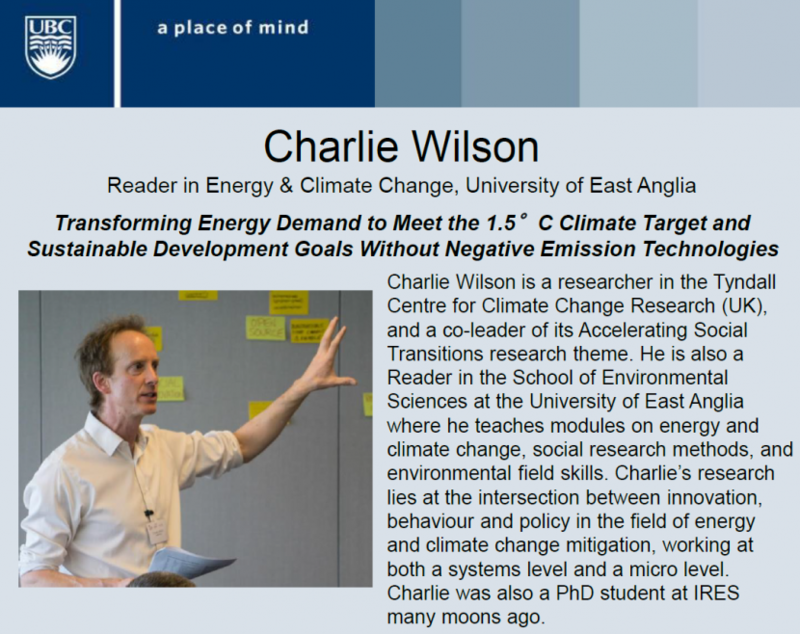 Charlie Wilson gave a public lecture at his old alma mater, the University of British Columbia, on new research showing how to meet the 1.5oC climate target by transforming energy services. Examples of potentially disruptive innovations that can significantly reduce the energy required to provide useful services include shared mobility, pre-fabricated whole home energy retrofits, electric vehicle-to-grid, and internet of things. Significantly reducing energy demand to 2050 enables more feasible rates of decarbonisation using renewables and other low-carbon energy-supply technologies, alongside a rapid phase out in fossil fuels. Watch Charlie’s lecture here.